I've always said, you can't buy happiness but you can buy coffee and that's pretty close! Am I right? I love Coffee. It's a great way to start the day. For me a good cup of coffee must contain a rich flavor and a wonderful aroma. Hamilton Mills does just that. Their Variety Pack includes 7 delicious blends and is made with 100% Arabica beans. Perfectly roasted + Perfectly ground = Perfect cup of coffee. Hamilton Mills Variety Pack includes everything from a Decaf morning blend, to a Light Roast morning blend, a Hamilton House Medium Roast blend and everything in between. This pack also includes 3 flavored blends Vanilla Bean, Toasted Cinnamon, and Mocha Swirl. Toasted Cinnamon was the first flavor blend I tried and it was love at first sip. It has a great toasted flavor. I next tried Vanilla Bean, it has a sweet delicious vanilla taste and Mocha Swirl has a mouth watering aroma. These flavored blends are light but rich and inviting. What to know what I love most about Hamilton Mills Variety Pack? That it's 40 count pack. I get the enjoy K-cup after K-cup. And If you like regular coffee, you will love their rich blends. Cape Cod is definitely my favorite of the regular roasts. What's better? You can purchase this Variety pack on Amazon for an amazing price. Wait, I have even BETTER news. Thanks to Brooklyn Bean Roastery, ONE of my lucky followers will win this 40 count Variety Pack! Be sure to ENTER the giveaway below. I promise you won't regret it. Ends 8/21. DISCLAIMER: All products received are complimentary for testing purposes from Brooklyn Bean Roastery. All opinions stated are my own and are not influenced by any affiliates. I love a good breakfast blend / morning roast. I haven't tried any flavored coffees but look forward to it. I'm most excited to try the Vanilla Bean flavor! Definitely the vanilla bean with my homemade caramel creamer.. I'm a chocolate lover so the Mocha Swirl!! That is awesome. 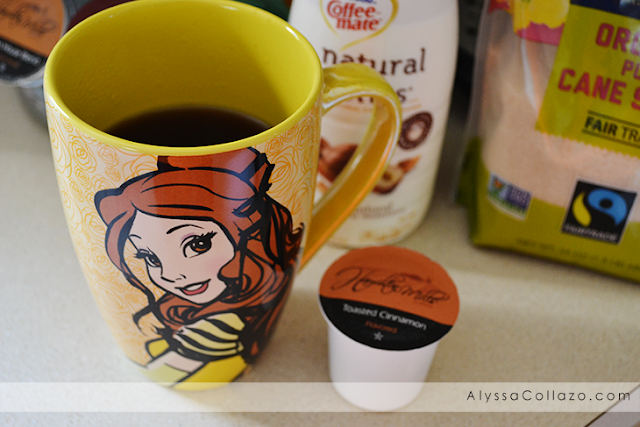 I am a HUGE coffee addict and I am always looking for new kinds to try! This is an awesome way to do that. Vanilla Bean would be my favorite if I drank coffee. 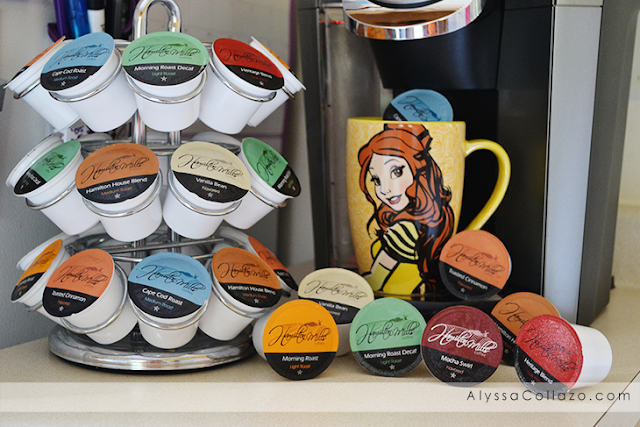 Hubby is a HUGE K cup man and I bet he would love most of these blends. The darker the roast, the better in my book. But I have to say, the vanilla bean would be the one I would try! My family and I are huge coffee lovers. You had better bet your bottom dollar that I will be entering this contest. We love us some K Cups in this household. And it is perfect timing, too. We are running low (gasp!). Definitely the vanilla bean!! I love coffee & trying new things so this would be amazing! I want to try the vanilla bean one the most. I know it sounds boring, but I'd love to try that vanilla bean. I'm a sucker for vanilla in my coffee. I would love to try every single one of these flavours. Coffee is my downfall (and my sanity!). Bring on the k-cups! I want to try the vanilla bean. Anything vanilla I like. That's a real nice variety pack! That would last us for about a month! Love all types of coffee so I would be in heaven with variety package. I have never tried this brand before! I love flavoured coffee. FRENCH TOAST sounds delicious! Great mug too! Would like to try the Morning Roast. I'm really excited to try Mocha Swirl! I would love to try the morning roast. It sounds so good . The Vanilla Bean sounds tasty! I enjoy a good cup of coffee. I love the cup! Thanks for the share. I thought my husband had tried every K-Cup ever created, but I don't think he's tried this one. I'll have to surprise him. He's such a coffee person. 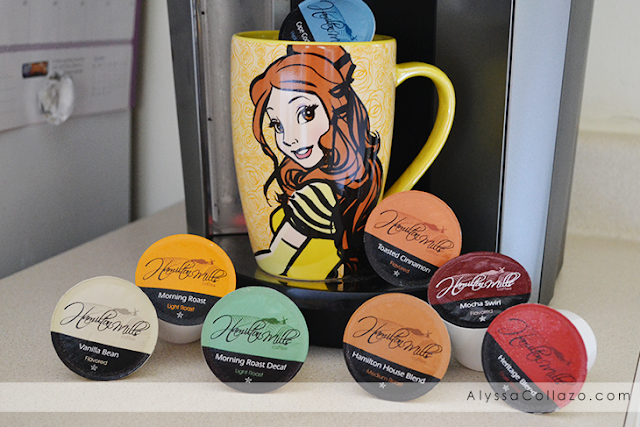 My husband would enjoy these flavors as he is always wanting to switch up his coffee. I am a big coffee drinker and would love to try these! Roasted cinnamon flavor jumped out at me! I can't wait to try Toasted Cinnamon! YUMMM! This would be nice as you can try different flavors in every cup. My husband would love these! I am most excited to try vanilla bean. The morning blend and Cape Cod Blends are close runners up! I am going to be obsessed with that mug for the rest of my life. Belle is my spirit animal in Disney Princess form, awesome mug! I haven't tried all these flavors. I would love to try the Toasted Cinnamon and the Vanilla Bean. This sounds like a delicious and great variety of coffee. I’ll pass this giveaway on to someone I know who has a Keurig machine. Thanks so much! These sounds totally amazing and they would make great gifts too. I don't have a machine yet but my good friend does and this would be a great gift idea for him. I then can actually go there for coffee to try them too. Thanks for sharing I will have to check them out. When you have a good coffee, it can make your whole day. I had a kcup but switched to a French Press and can't figure out how I spent my whole life without it. Sometimes I miss my kcup, but not often. I will admit that I prefer tea. However, I will drink coffee every now and then, especially if I nee to jump start my ay! I want to try the Vanilla Bean. Mocha swirl sounds like it would be my favorite! I love using k cups in the morning! I like getting sample packs so that I can try out coffee before I buy it. I would love to try several of the flavored coffee. I LOVE sample packs so something like this is perfect for me! Especially once school starts. You cup is adorable, I'm not a coffee drinker but I love my tea. 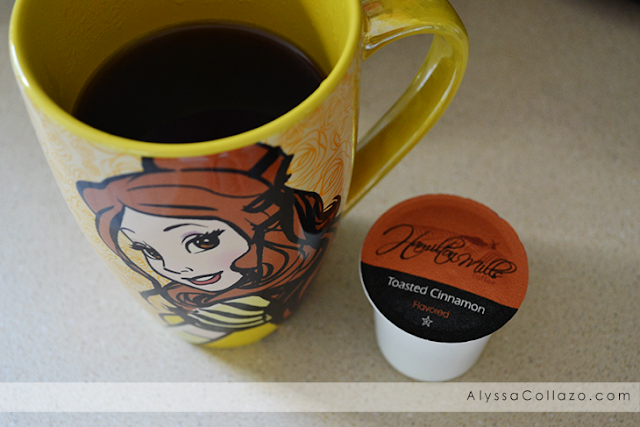 I love the K cup machines, they make it very easy and no fuss. I literally wake up and look forward to having my one cup of coffee. What a great giveaway for coffee lovers like me to try a new brand! Thank you! Vanilla bean is one of my favorite flavors ever! I have to try that! I would be most excited to try the Vanilla Bean one first! great review! i loveee coffee and im obsessed with your mug!! The Hamilton House Blend sounds great! We're a medium-roast household!